Try as we might, it seems that we just can’t escape City 17. With Half-Life 3 seemingly trapped in perpetual limbo, fans have been desperate to get their HEV suit fix somewhere, even if it means creating their own game from scratch. While some have turned to making their own sequel based on a leaked story outline, others have looked back to the original. Dark Interval offers an exciting opportunity to revisit City 17 as seen through a fresh set of eyes. This is still clearly Half-Life 2, but rebuilt entirely based on an earlier, more ambitious design that was just too much the desktop PCs of 2004. If you’ve got the hardware to handle it, it’s well worth the trip. Moved on from Half-Life 2? You’ll probably be looking for another great FPS to play. 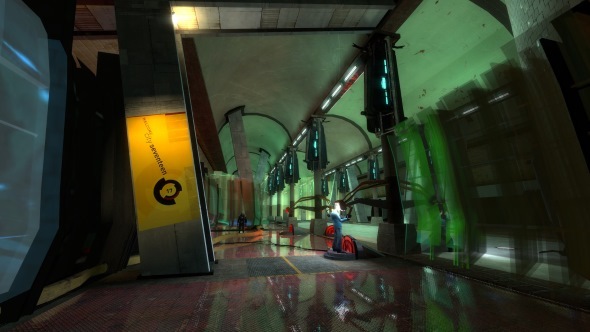 Based primarily on concepts and documents laid out in the book Half-Life 2: Raising The Bar, Dark Interval is an attempt to recreate the game from the ground up as it was originally envisioned, with all-new levels and a somewhat more overtly cyberpunk atmosphere thanks to Combine technology getting much more time in the limelight. The current release – Part 1 – contains the first couple chapters from the game up to and including Kleiner’s Lab, spanning a total of 11 maps. While not a huge amount to chew on, it’s genuinely impressive how much detail has been crammed into these environments, giving the venerable old Source engine a run for its money in places. 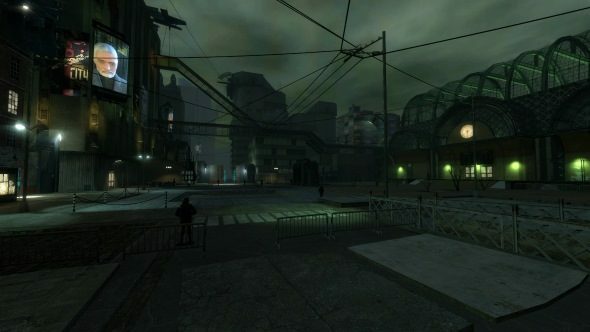 While other similar mods have been based on parts of the early leaked Half-Life 2 alpha build, Dark Interval is entirely new content from top to bottom. While lacking Valve’s critical eye for design in places (the lighting is perhaps a little too high-contrast), it’s an impressive piece of work. Interestingly, you don’t require Half-Life 2 to run this mod, either, just the (free) Source SDK. You can find the mod itself and full installation instructions on ModDB here.